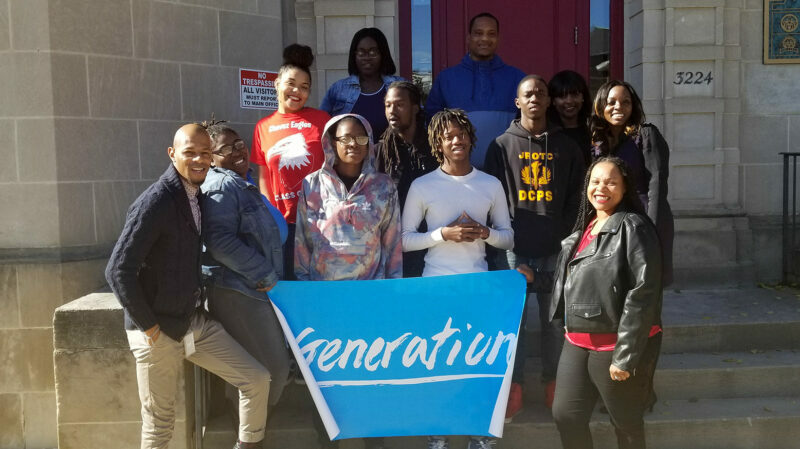 Generation is partnering with Nando’s restaurant to launch a new skilled training program for youth and unemployed adults interested in becoming a front-line restaurant employee like hosts, cashiers, and food runners. The pair will also offer management training to supervisors already employed by Nando’s. After completion of the entry-level program, students in good standing will be guaranteed a job with the company. The new and one-of-a-kind program is free for students and started in late October. The partnership, launched on October 22, aims to reach nearly 200 individuals in the D.C. area in the first year. Generation will host the program at the Latin American Youth Center where students will learn a variety of technical and soft-skills including professionalism, safety, good customer service, and communication skills. They will also receive a weekly stipend during the three-week program. Generation’s unique curriculum methodology allows for the development of a role-specific training program focused on the technical and employability skills needed so that young people are poised for success in a career-launching role. Generation aims to develop skills, shift mindsets and truly prepare individuals for the realities of a new role. Students will be considered employees of Nando’s and will have the potential for advancement within the company.